Dr. Bontá served as the Director of Department of Health Services for the State of California. Appointed by California Governor, Grey Davis, Dr. Bontá led initiatives to address critical public health issues and health protection programs for 35 million California residents. 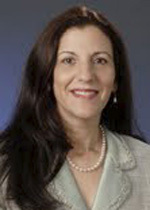 Prior to her work at the state level, Bontá served as the Director of Health and Human Services for the City of Long Beach. Dr. Bontá also worked at Kaiser Permanente as Vice President of Public Affairs for the Southern California Region, where she was responsible for setting the region’s policy agenda and leading public affairs programs, including support for Kaiser Permanente’s internal communications and reputation management. Dr. Bontá is an adjunct associate professor at the University of California Los Angeles, where she received her doctorate and master degrees in public health. She has been nominated or appointed to over 24 governance and advisory positions and is currently a Board of Trustee of the Health Professions Education Foundation.